Denia castle was built in the 11th century by the Arabs. It is open to the public and houses the Archaeological Museum. 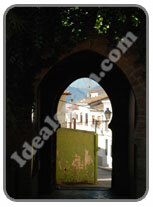 Access to the castle is via a maze of narrow streets in the historical part of town, right above the Town Hall. 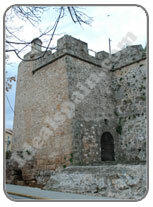 The castle in Denia is perched high above the town and can be seen from all directions. There is a small entry fee to walk around the castle, tower and museum. The castle is of a large size and the grounds include picnic raeas and lots of walkways. If you do visit the castle, make sure you wear sensible footwear as the paths are very uneven and hard going. Take a drink with you too. At the top of the castle walk the views over Denia are amazing. 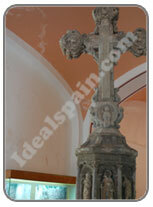 The museum houses a wide selection of relics from the Roman and Iberian times, most of which were discovered in Denia.